It could be our last hope. 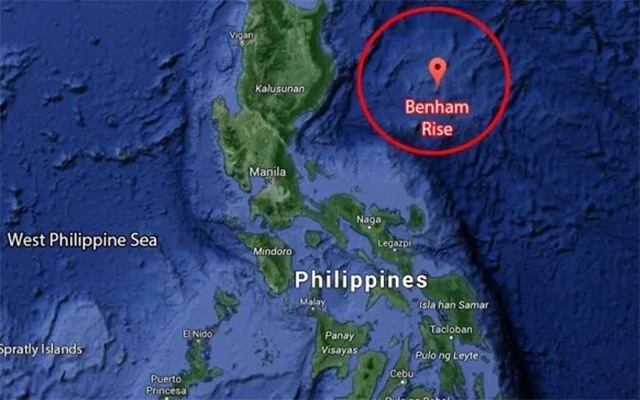 (SPOT.ph) The Philippine government is currently under fire for allowing foreign vessels, especially those of China, in Benham Rise—a submerged extinct volcanic ridge off the coast of Isabela in Eastern Luzon. 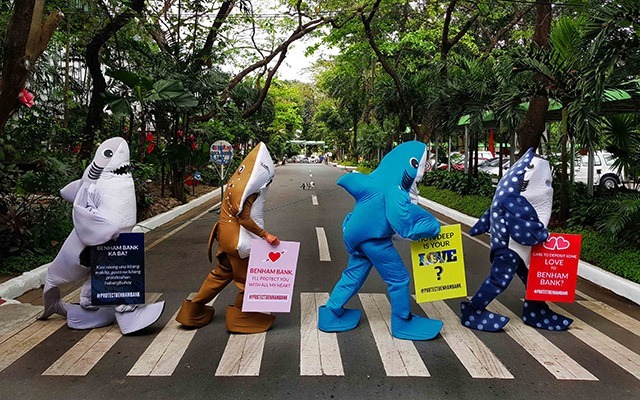 So when Valentine's Day arrived, local environmentalists led by four dancing shark mascots visited the Department of Environment and Natural Resources to deliver a love letter to Sec. Roy Cimatu. The special Valentine's card contained a request to declare Benham Bank, the shallowest part of Benham Rise, as a "no-take" zone. Presumably named after Admiral Andrew Ellicot Kennedy Benham, the landform was officially declared as part of the Philippines' extended continental shelf following the approval of the United Nations in April 2012. In May 2017, the government officially changed the name to "Philippine Rise" to further assert the country's "sovereign rights and jurisdiction" in the region. In January 2018, the Department of Foreign Affairs led by Sec. Alan Peter Cayetano approved applications from China to do research in Benham Rise. Presidential spokesperson Harry Roque defended this move, saying that Filipino researchers have not applied to do their own study and that "no one can do it because, apparently, it’s capital intensive." The spokesperson has obviously not done his research because in 2016, local marine scientists have conducted an expedition to Benham Rise and detailed findings are all available online. 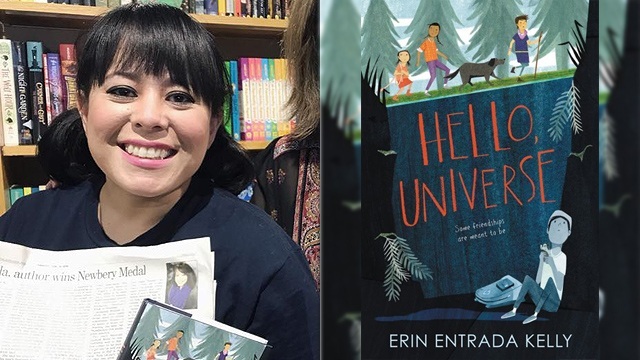 Following the evidence that Benham Rise is an ecological asset, Oceana Benham Rise Campaign Team Leader Marianne Saniano explains that: "The full protection and management of the entire 24-million hectare Philippine Rise might take months. However, there’s something Sec. 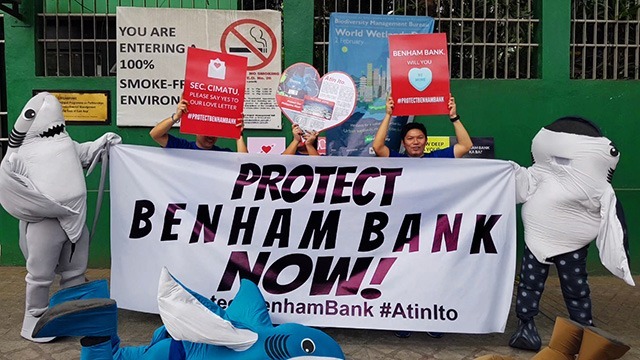 Cimatu can do right now and that is to have the 17,000 hectare Benham Bank declared as a ‘no-take’ zone." This petition is supported by over 50 institutions and leaders nationwide as well as over 9,000 signatures from Oceana's online petition. The Benham Bank—which is about 1% of Benham Rise—is found to have deep-sea reefs with a rare 100% live coral cover, making it a perfect place for various types of marine plants and animals to thrive. This includes the Halimeda, which is a spawning area for the expensive and rare Pacific bluefin tuna. “We expect that the pristine Philippine Rise harbors a variety of healthy marine wildlife populations, including sharks and rays, dolphins and whales and marine turtles. With much of the inner Philippine Seas disturbed, overfished, and polluted—the Philippine Rise is a sanctuary for these threatened species. Anything we do there should not be detrimental to the existence of its marine wildlife populations,” added Marine Wildlife Watch of the Philippines Director AA Yaptinchay. With the Philippine ecosystem being threatened by mining, careless commercialism, illegal logging, poor waste management, and even territorial issues, our marine wildlife can sure use a sanctuary. If the government doesn't act fast, it's only a matter of time before the country loses its title as the global center of marine biodiversity. 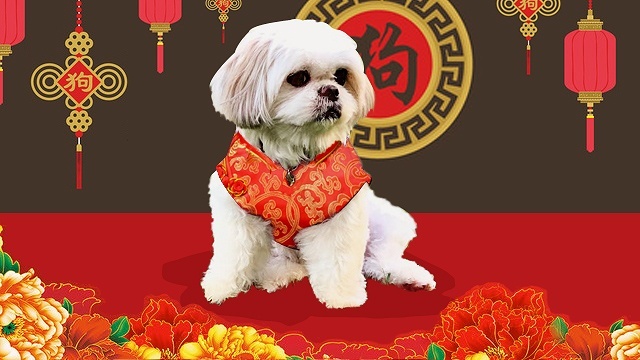 What's in Store for Your Animal Sign in the Year of the Dog?